White Knight Story At Sony's FY08? A Store For "Game Creators" ? Metal Gear Solid Is "Passive Entertainment" ! Sony Promises More Originals For The PSP! Capping off the plethora of good information from Sony Computer Entertainment CEO Kaz Hirai's business briefing, White Knight Story (known in Japan as Shirokishi Monogatari) is expected to arrive during Sony's Fiscal Year 2008, which is the period between now and March-April 2009. Not so much has been heard much about Level 5's epic since its showing at TGS '07. 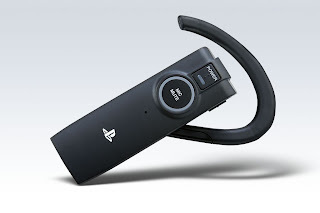 SOCOM Confrontation's retail release will include a Bluetooth headset, Sony confirmed this with pictures. 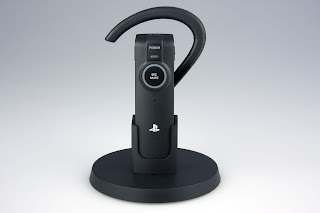 The headset appears to be well-designed and, in fact, PlayStation-branded. Features include a prominent Mute button, USB charging cradle, and extended battery life. Sony has neither finalized the design nor priced a standalone model, but the SOCOM bundle is rumored to fetch $80. McKool Smith, PC today announced that a federal court has upheld a $21 million patent infringement verdict in favor of Anascape against Nintendo of America. Judge Ron Clark of the U.S. District Court for the Eastern District of Texas denied Nintendo's motion for a reduced verdict, ruling that the jury's award is supported by the evidence. The jury had found that various Nintendo controllers, such as the GameCube controller, Wavebird and Wii Remote, infringed Anascape's patents. "We appreciate the Court's thoughtful consideration in upholding the jury's decision,"
says Doug Cawley, principal at McKool Smith and lead counsel for Anascape. "Although not a giant corporation like Nintendo, Anascape has every right to protect its technology." Everyone seems to be on Nintendo's neck these days :( I hope they don't get anymore lawsuits. "Game Creator Store is another significant step in our campaign to democratize game development,"
says Richard Vanner, Financial Director with The Game Creators. "With the games industry increasingly polarising on a few big players, it's good to broaden it out with new talent but game making isn't as easy as many people think. Independent game developers have the need to create 3D models but they're not artists so they don't always have the ability or contacts. Most current catalogues are designed more for artists than developers and their assets have a high polygon count that doesn't support quick gaming. Game Creator Store fills the gap with objects that are better priced than existing offerings and come game ready." So now independent game developers can be at ease with Game Creators supporting them! PS: I'm a programmer and I had thought about making games from scratch, but no support and I don't have the discipline required for such a feat! So I understand independent game developers pains! "To be honest, it's fun because in it's own unique way, there's no pressure. We completely ignore it and follow our hearts." "We wanted a blockbuster pace, and in doing so, we lost the story a bit. So that's one of the lessons we learned. This time round there's more repetition. Games aren't movies and aren't consumed in a single sitting. So secondary characters will remind you about stuff, which is re-established in plot cues. Metal Gear Solid is our example of the game we're not doing. Passive entertainment is on its way out – you need to hook up with this web 2.0 stuff." Hmm, someone is being ignorant! MGS is a blockbuster AND a system-seller! Gears of War is big, but not as giant as MGS is! I know I shouldn't attack someone just because they think differently, but Come on! He had it coming! On another front, I think coming up with new ideas and trying to innovate is always great. In the company's fiscal 2008 annual report, Sony revealed that they've now lost roughly $3.3 billion on the PS3 since its launch. Why? Pricing the console below its production cost. The $599 the PS3 had originally back when it first launched was significantly cheaper than the cost of producing it in the first place, and while the retail price has come down some, the losses keep piling up. "the large-scale investment required during the development and introductory period of a new gaming platform may not be fully recovered." Although the PS3 business has yet to record a profit for Sony, the company did sell 9.24 million units of the console in the last fiscal year. For the current fiscal year (ending March 2009), the company is projecting sales of another 10 million units. Sony's game division saw a 26% sales spike last quarter, a trend they expect will continue on the strength of strong exclusives like the recently released Metal Gear Solid 4 and the upcoming sequel Resistance 2. All hopes for the PS3! The PS3 really deserves credit! I mean, it outweighs the X360 easily! I'm not much of a tech freak, so I don't the "insides" of both of the consoles, but I do know this, PS3 has Blu-Ray which in turn allow for much more content than the X360! and thinks that’s due to publishers being unsure of what demographic was actually buying the PSP. According to CVG, they have received a few facts and figures about Peter Molyneux's Fable II. The speech of the game has been recorded at the London-based firm Side. It's latest newsletter reveals that Side cast over 45 actors (aged from 8 to 80) to play almost 200 speaking characters. "Four of Side's voice directors ensured that all performances harmonized perfectly with Fable II's idiosyncratic world and captured the complexities of its inhabitants. The voice recording ran concurrently in two studios for over three months, amounting to nearly 370,000 words recorded - that's 38 hours of dialogue." There's even a quote from Peter Molyneux himself: "The sheer amount of dialogue in Fable 2 meant this was a massive project. Side rose to this challenge in a professional and efficient way. They have done a great job for us". I guess that goes to show how committed this game really is! I would have loved to play this game, but since it's on the XBox360 I guess there's no helping it! Ubisoft has announced that the title to the new Nintendo DS exclusive Prince of Persia game will be titled The Fallen King. Prince of Persia: The Fallen King will complement the new Prince of Persia coming out this holiday on consoles & PC by expanding the saga with an independent storyline, and will be also available at retailers nationwide for the 2008 holiday season. Storyline: Facing imminent danger, the Prince flees to a deserted kingdom that seemingly offers sanctuary. Already touched by the evil Corruption, a dark substance that physically contaminates the land and the skies, the kingdom is filled with adventure, challenge and intrigue. As the Prince seeks a way to fight the spreading Corruption destroying the land, he encounters a partially infected creature that promises salvation. But is the creature truly an ally or merely an enemy in disguise? It seems this perilous alliance may be the only way for the Prince to face the forces of darkness and save the Persian kingdom from the Corruption once and for all. A lawsuit filed by Morgan Creek Productions, Inc. against Nintendo of America was recently dismissed. The lawsuit alleged copyright infringement by Nintendo for its use of the song “You’re So Cool” in a Nintendo GameCube television commercial produced by advertising agency Leo Burnett USA, Inc. In response to the lawsuit, provided Leo Burnett Morgan Creek Productions with a copy of a music license entered into between Leo Burnett USA, on behalf of Nintendo of America and Morgan Creek, for licensing of the song. The lawsuit was dismissed by Morgan Creek Productions the following day. I guess somebody wasn't doing their work right! Hmm, it'd be safe to assume someone's a$$ is getting fired! Hey! I'm here today with some interesting news. I have stumbled upon a post by Video Game Philosopher about an interesting site. SocialSpark. This site helps you (if you're a blogger) with your blogging life. It pays for your posts by means of opportunities. The site is pretty easy to use, although it could be a bit heavy for slow internet connections, it makes your life easy. Also, making friends couldn't be any easier, specially blogging friends! SocialSpark is basically a social network community/market place that brings bloggers and advertisers together in one stylish site. I really have high hopes of this site, and their code of ethics is really a good thing to have! It will assure ideas to be 100% genuine and 100% Transparent. bloggers can communicate with the advertisers and vice versa. Messages can be sent between the two. You can really monetize your blog with the site! This is the new offering from IZEA. If you were hoping to grow your circle of friends, then SocialSpark can really help you with that! I mean, I just signed up recently and I already have 5 friends! What this also means is that you can generate more traffic to your blog! In this site you can find any opportunity that suits your blog and earn money through writing honest reviews for the advertisers. You can withdraw your earned money via PayPal. You also don't need a top-rated blog in order to participate! A good rated one is helpful, though. One last quick note, this post is sponsored by SocialSpark! So, go and give the site a shot! I just found this new trailer for this ever exciting game, Call of Duty 5 (World At War). The series is back to WWII (War World 2) and is set in Japan this time around. The trailer is nice so are the graphics, but I'm troubled by the fact they didn't use native Japanese speakers (at least they didn't sound native to me). Square Enix has issued a statement saying the development of Final Fantasy Versus XIII is not on hold, both Final Fantasy XIII and Versus XIII are still on schedule. This contradicts a statement made by Tetsuya Nomura in Famitsu regarding to the development of Versus XIII has been stopped in favor of Final Fantasy XIII. Square Enix also issued a statement clarifying a rumor about a Final Fantasy XIII Pachinko game is in development, which was first reported in the rumor column in Weekly Famitsu. There is no such game planned. Suqare Enix announced details of the DKΣ3713 Japanese private show, which will take place in Tokyo on August 2 and 3. Here are some new images of Square Enix's Wii action RPG Soul Eater: Monotone Princess, based on the anime series of the same name. The game will be released in Japan on September 25, 2008, for 6090 yen. Bandai Namco announced a new Wii air combat game, Sky Crawlers: Innocent Aces, which is based on the upcoming Japanese anime movie of the same name. The game is being developed by the Ace Combat team. The game is probably due Fall '08. EA announced Need for Speed: Undercover is in development, and the company announced that the Need for Speed team has been split into two teams, so the team can alternate and have 2 years time to create yearly installments. Here are some new images of Activision and Treyarch's World War II FPS Call of Duty: World at War, the game will be coming to all major platforms including Xbox 360, PS3, Wii, PC, PS2 and DS. It seems PS2 is still getting new games scheduled. Perhaps that's a good thing? More story details have been out for some time now. The story of Tecmo's newest Fatal Frame installment on the Wii, takes place in a remote island in Japan, where 5 teenage girls have been kidnapped to several years ago. Two of the five girls have already dead, and the remaining three were rescued by the police but they have all lost their memories. In order to uncover the truth behind the whole kidnap and murder case, the three girls must return to the island to recover their memories. However the island has already became the nest of grudge spirits. The island has the ruins of a hospital and a mansion, you must control the three girls to investigate the two places, and your only weapon is a flashlight camera which can seal the spirits into the film. If you're keeping an eye on my blog, then by now you've realized that I've been away for sometime now. The reason being disconnection. The phone company was making some large scale repairs, so I had to wait in line in order to get back my internet connection.